The Castlegate community is located in South College Station. 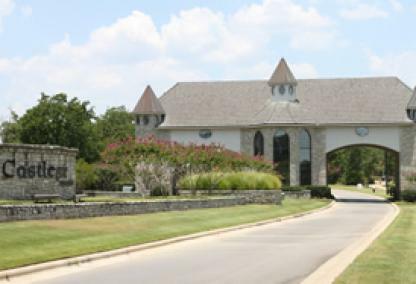 Within the majestic castle like entrance, Castlegate offers a variety of amenities from the beautiful landscape with jogging paths, pavilion, lighted tennis and basketball courts, a beautiful central park offer fun for the whole family to enjoy. There are also private roads, wooded home sites, active homeowners society, and community sponsored events. Students are zoned for College Station ISD and Forest Ridge Elementary School.